The following is an outline of treatments Supatra has undergone since diagnosis and those she is currently on now. We hope that this information will be helpful to those seeking information for their own loved ones with brain tumours, especially those children with DIPGs. It must be pointed out that Supatra is not cured nor has she improved from her initial symptoms which resulted in her diagnosis but Supatra is alive, functional and still has a quality of life far beyond what the doctors initially thought would be the case. It should be noted that Supatra’s first alarming symptoms started in November 2010, she was then diagnosed on 26 Jan 2011, and was not expected to live long past her March 2011 birthday. The median life expectancy for Supatra's Grade IV DIPG tumour is 9 months according to the doctors. Supatra is now in her 16th month since disgnosis and 20th month since symptoms first started (in retrospect we determined that her sudle symptoms first started in late August / early September 2010 and the first "I know there is something definitely wrong with my child" symptoms in November 2010). We are not sure what is keeping her tumour stable but but we now do believe that a lot of this is due to the Thai herbal medicine that has been prescribed by a retired Thai oncologist who has a large following in Thailand, has an 80% cure rate for some cancers and who’s medication he gave away to the Thai Government Pharmaceutical Organization (GPO) for the benefit of everyone. Some of these formulations have now been approved by the Thai Federal Drug Administration. Why do we believe this? Because we have been giving Supatra these pills since approx. two weeks after her diagnosis. The antineoplaston’s have also had an initial positive impact on the tumour and we think that the combination of the medications and supplements we are giving her now is keeping the tumour stable – which is one hell of a lot better then growth! Of course, we continue to be anxious as we approach each scheduled MRI scan and the next one scheduled for the 30th May 2012 will be no exception. 2 x 7.5ml / day for 3 days then wean down until about 2.5ml once a day for 3 days before stopping. Reduce swelling in the brain cavity. Supatra was on and off this steroid during this period - mostly on. Each time starting with a large pulse of 2 x 7.5ml Dex per day for 3 days then starting the weaning process. Protects stomach from harsh affects of steroids on gut. Shrunk Supatra’s tumour and reduced some of her symptoms but never cured her left facial palsy. Supatra was almost 6 yrs old at this time and tolerated the treatment well and only become nauseous a few times which was controlled by taking Ondansetron. Given everyday of radiotherapy for the prevention of nausea. First year: 4 x red capsules twice a day for a total of 8 x caps and one white pill once a day every second day. All taken 30mins after a meal. Since February 2012, red capsule dosage remains the same; small white pill is decreased to once every three days; additional two white caps taken with each dose of red caps for a total of 4/day. All taken at least 30mins after a meal in the morning and evening. Stop tumour from growing but Thai doctor stated it will not shrink the tumour. Since February 2012 the Thai doctor has prescribed a reduction in the frequency of the small white pill but prescribed an additional two white caps that is supposed to help detox Supatra’s liver. This was done after reviewing her blood panels. Procurement: Punny’s brother has to personally drive to the doctors location and pick up the prescription and the doctor will only issue two months supply at a time. It is then sent through the mail to us. BGlucan Herbal Mushroom extract from Taiwan. 7 capsules/ day at least 30mins before a meal. Broken down to 4 in the morning, 3 before lunch, 3 before supper. Balance and boost a person’s immune system. This herbal medication contains over ten different mushroom extracts. Procurement: through a Tao Master in Thailand who acquires these from Taiwanese sources. Bottles are then shipped to us. Target dose based on weight of patient is 200ml/infusion for AS-10 and 18ml/infusion of AS1-2; 6 infusions per 24 hrs once every four hours. Once at target dose it takes 2:10 hrs per infusion. Experimental treatment designed to reduce and/or eliminate the tumour. A complete response for DIPG tumours is low at around 30% with longer term cures even lower. HOWEVER, this is one hell of a lot better then the 0% chance the oncologists give DIPG patients. See additional note below. Required as Supatra’s tumour reacted to initial antineoplaston treatment with tumour breakdown which results in initial swelling of tumour inside brain. Where as the NHS always told us to start steroids with a large pulse and then wean down; the Burzynski clinic doctors told us to start with a low 1.25ml dose and only increase if necessary. She was then weaned off Dex by 24 Nov 11 as she was off ANP treatment and then started on a very slow increase in ANP treatment over several months. Supatra was put back on this low dose to counteract any possible swelling in her brain resulting from the ANP. 1 Tab dissolved in a small glass of water every 12 hrs. Balance electrolytes as the ANP treatment can alter sodium and potassium levels in the blood which must be rectified. Initially prescribed at a lower dose but then slowly increased as required and prescribed by the doctors. 15ml / day initially for first few months but now reduced to 10ml per day taken in 5ml increments spread through the day. Supatra’s blood analysis always showed a very low iron count and we asked that she be given this supplement in case this low iron was affecting other things in her body. The doctors said it didn’t really matter but we believe otherwise. detoxing brain and body of the affects of radiotherapy and for helping the body's immune system. With all new herbal treatments We always start off on the lowest possible dose first and watch for any negative reactions before increasing it. Vitamin booster and there is anecdotal evidence that Vitamin C may have an anti-cancer affect. It has been an uphill battle to get Supatra to drink these juices and we have tried too many combinations, additions to, and subtractions from the recipes that it would be impossible to recall them all hear. For the last three months we have managed to give her at least a 4-6 oz glass of juice every other day or so. Only advice I could give is to add a fair amount of fresh oranges, some ice, and sometimes some honey helps to make it more flavourful for a child. This recipe has been another struggle for us as this is not something a child would normally like to eat. We have given this to Supatra off and on - mostly off since about May of last year. We managed to get her to eat it everyday for almost two months prior to our Burzynski trip and she was doing extremely well at the time and for the first time since diagnosis managed to get her off steroids for almost two months. I recently started adding a little water to the mixture and then frozen strawberries. The water thins the mixture so that she can drink it and the frozen strawberries turns it into a frozen yogurt smoothy. She likes this very much and has been drinking it everyday for the last several weeks! Note: All supplements and alternative herbal medications were first discussed and cleared with the Burzynski doctors in order to ensure that there would be no negative interactions with the ANP treatment. After Supatra’s initial diagnosis, Punny told her brother in Thailand and her brother researched what was available in his country. He came across Dr. Sommai Tongprasert who is a well known, even revered retired oncologist who developed a herbal medicinal treatment for cancers and developed over 40 years. Normally, he does not treat foreigners as his main aim is to provide cancer treatment to Thais, especially the poor. However, he listened to Punny’s brother and looked over Supatra’s diagnosis scan and prescribed these pills which he stated would not cure her but should stop the tumour from growing. Although I was very skeptical about this initially I also was not too fussed as there was no other treatment hope we were given by Western doctors. I do not believe that Dr. Tongprasert has given a markable name to the pills he prescribes us and I only know it as GPO1986 from the one research extract I was given. Dr. Tongprasert has given other herbal formula's that have shown very good anti-cancer results in other cancers to the Thai Government Pharmaceutical Organization (GPO) which has now produced several marketable products that have been registered with the Thai Food and Drug Administration. My wife tells me that the pills we are getting for Supatra may not be the ones that are now being produced by the GPO as the doctor has many different formula's for different cancers and so I will have to do further investigation to get you the reader some more detailed information so that other DIPG patients may try this as well. If you would like to know more then please visit these links about the doctor and his cancer cure successes (it must be caveatted that these links are not scientific in nature but do give you some background info on the doctor's life, research, Thai government involvement and links to other articles which may be of interest). In order for Supatra to get this medication we must place an order with Punny’s brother every 6 weeks and he then travels for 2 days, waits with hundreds of other patients to see the doctor and get a new two month supply for Supatra. He then packages and sends it to us by courier. Without his dedication, effort and time we would not have access to this drug, which might be the reason for Supatra’s tumour stability. Because of the relatively low chance (but much higher then current available conventional treatments) of success with this treatment we continue to give Supatra other medications listed in the above table and continue our search for new research/clinical trials and alternative medical avenues hoping that attacking the tumour with as many drugs and natural remedies will over power the cancerous cells, kill the tumour,and finally balance her body so that whatever the underlying problem is/was causing her cancer in the first place is remedied. After the initial two months Supatra’s main tumour mass shrunk 12% and one extension of the tumour could no longer be seen in the MRI scan. Since then Supatra’s tumour has remained stable except for a small 0.2cm growth in one of the dimension measurements seen in her 1 Feb 12 scan. We believe this was a direct result of the need to take her off the ANP treatment in mid-November 2011 due to neurological seizures. After this we purposely started Supatra back on ANP treatment in late November 2011 and increased her dosages towards her target dose much slower than was prescribed by the Burzynski clinic. 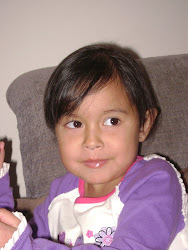 This resulted in Supatra not reaching her full target dose until late April 2012 BUT she was very near to her target dose by late January 2012. This period of being off ANP and the very low dosage she was on for all of December 2011 very likely allowed the tumour its ability tore-grow a little which then showed up in her 1 Feb 12 MRI scan. However, this same scan also showed a reduced enhancement of the tumour and since then her 22 Mar 12 scan showed a stable tumour (no growth) and a continued reduction in enhancement.